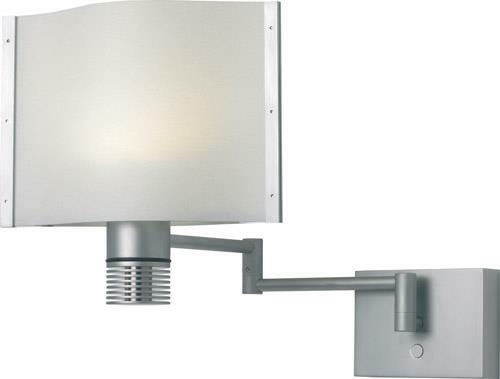 The Lubeck is an elegant modern European styled LED wall applique featuring a white fabric adjustable shade and finely detailed chromed brass housing. Lubeck is ideal for main salon ambient lighting or master stateroom and crew's quarters bunk lighting. Pull out to take advantage of its 12" extension or collapse back for a low profile appearance. Furthermore, this fully dimmable marine lighting fixture features a micro-push button "soft-switch" conveniently located right on the fixture's base. A steady press on the "soft-switch" will vary the light intensity to the desired setting. The intelligent built-in dimmer module also has a memory feature that recalls the last light level you set before turning the fixture off. This product is made to order. Please allow 4-6 weeks lead time for the product to be delivered to your upon ordering!